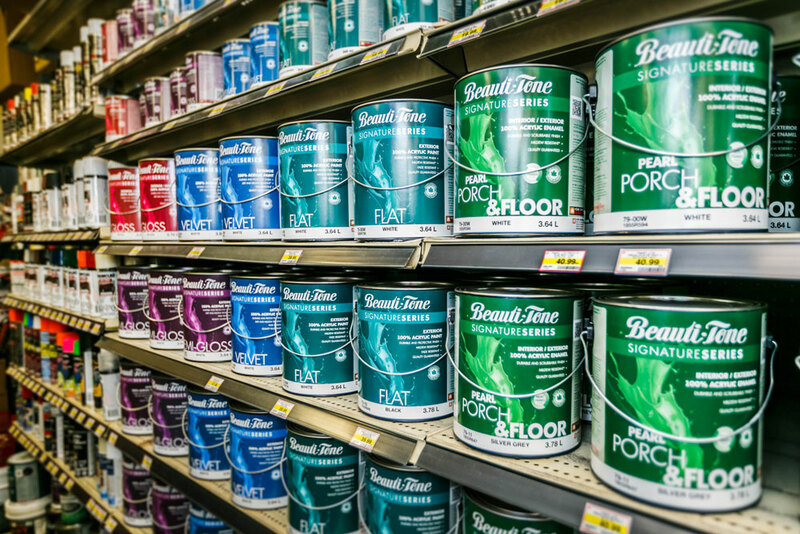 Canada's Best Rated Paint at an exceptional price is beauti-Tone Paint and it's available at Robinson Home Hardware in barrie. 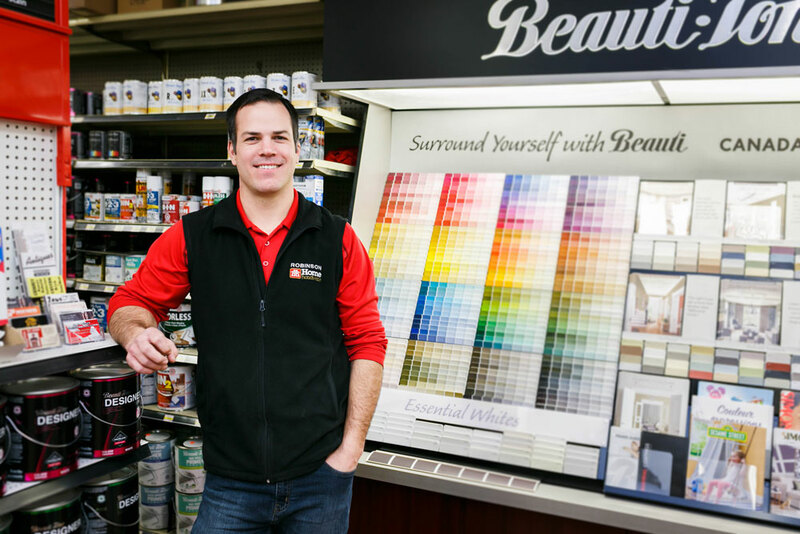 Exclusive to Home Hardware, Beauti-Tone is Canada's #1 owned and made retail paint. Since 1979, Beauti-Tone has stood for exceptional quality, dynamic colour selection, affordable pricing and the highest level of customer service. Exclusive to Home Hardware dealers, Beauti-Tone paints are the finest paints in Canada and come in any colour with an unconditional home owner's lifetime guaranteed. Our paint is an all in one, paint and primer, providing higher coverage than average paints and is completely color-fast. A high adhesion paint, Beauti-Tone paints provide superior smoothness and hardness which makes the paint extremely resistant to stains, mildew and scuff marks. Natura paints are a natural choice paint. Manufactured by Home Hardware, Natura provides top quality, maximum value and appeals to customers who maybe sensitive to traditional paints. 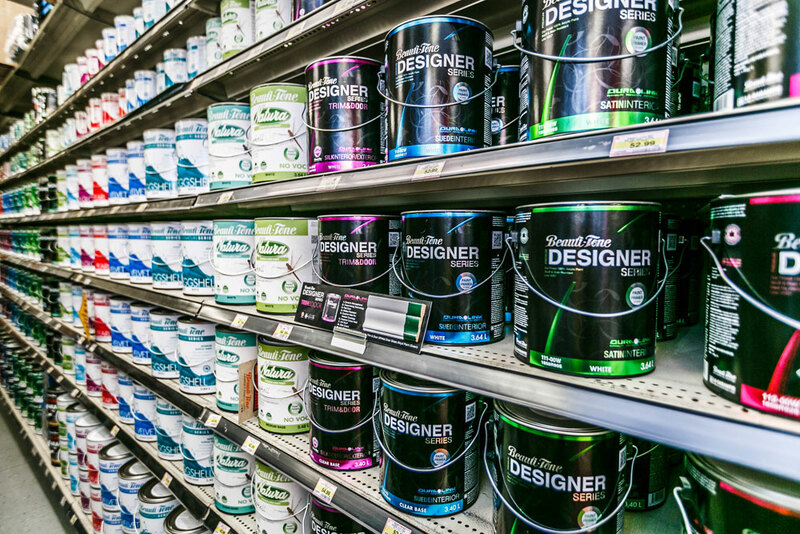 These paints have no VOCs (volatile organic compounds) and no odour. Natura is a safe and effective paint that is both a paint and primer in-one and is certified by green wise. Nature paints can be tinted any colour imaginable and are available in tough, long-lasting finishes of eggshell and pearl. Reimage your home by simply working with one of our many online sample images. Quickly design the perfect color paint renovation for any of your interior rooms or even the exterior of your home. Is the perfect paint colour for your living room exactly the same colour as your sister’s new car? X-Rite's wide range of spectrophotometers and portable measuring devices enables our customers to have the perfect solution for accurate colour, on time, every time. Now you can match a colour from fabrics or fruits to almost anything that inspires your choice of colour. Match any colour,anywhere, any time!